No station wagon is more striking. Innovative i-cockpit. Excellent quality. Superb EAT8 torque converter automatic. 1,780 litres of space inside. 2019 Car of the Year Contender. Initially limited engine choice. Limited UK market that prefers SUVs to estate cars. Carrying the same stand-out styling as the hatchback, the Peugeot 508 SW estate cuts a sleek shape on the road with LED headlights, frameless doors and a slung back roofline. The front is dominated by a huge grille that's flanked by equally large air intakes. All versions will sit close to the road, some 60mm lower than the old SW. It impresses not just with its look but with its outstanding 'anthropometric' i-cockpit, ergonomically designerd to accoomodate the different torso to leg ratio of different people. . 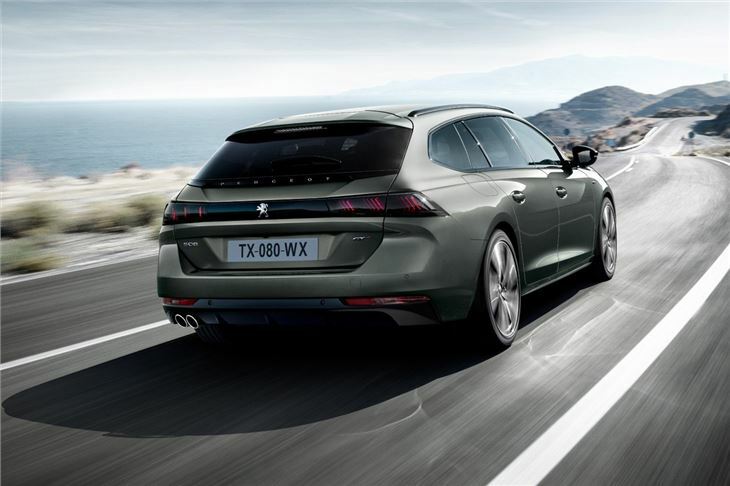 The 508 SW provides 530 litres of load space with the luggage cover closed and all three rear seats can be folded individually to accommodate passengers and bulky items. Maximum storage peaks at a van-like 1780 litres (that rivals the Merceded E-Class estate) and all models get a powered tailgate as standard, with a hands-free function that will open the boot with a kick of the foot under the rear bumper. The four diesels are based on the BlueHDi 1.5-litre and 2.0-litre engines, with outputs spanning 130PS, 160PS and 180PS. Most diesels are paired with the eight-speed auto, while the 130PS unit gets a six-speed manual as standard. 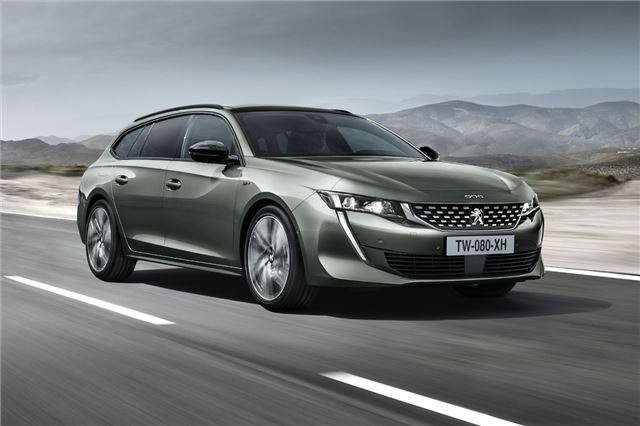 Peugeot hasn't released any CO2 or fuel economy figures for any of the petrols or diesels. Plug-in hybrid petrol from 2019. The system combines the 1.6-litre petrol with an electric motor and battery pack and provide low trailpipe emissions and an all-electric range of 31 miles. Load space remains the same as the standard 508 SW though, with the battery pack placed under the second row of seats. Tech plays a big role in the new 508, with the usual mix of adaptive cruise control, lane keeping assist and blind spot monitoring. A night vision camera will also be available, using an infrared camera to detect pedestrians and cyclists at night and applying the brakes automatically should they venture in front of the car.